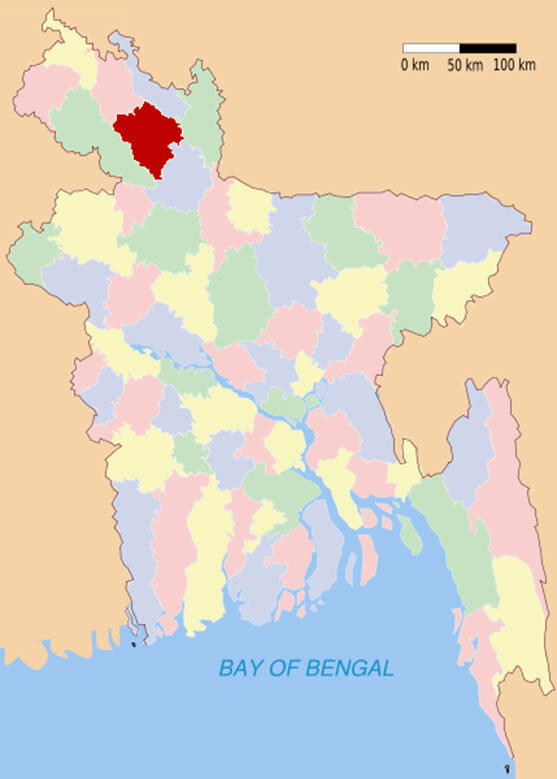 Lakshmichap Union is located at the northern tip of Bangladesh in Rangpur District. 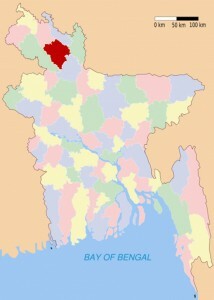 Its area is 5,540 acres and has a population of 16,351 persons (2001 census). The ratio of male to female population is about 50.5:49.5%. The literacy rate is 49% for males and only 30% for females. Agriculture and agricultural labor account for 86.7% of livelihood (26.6% labor). The community is diverse and includes several religious minority groups. It has developed an innovative community based “Dhan Bank” for sharing and stockpiling “dhan” (paddy) so that no one goes hungry. Since 2011, Samhati has partnered with others in the community to support a project to empower women and families in Lakhsmichap. We have worked with the Green Foundation Trust, the Nargis Jahan Farida Begum Memorial Trust, the Volunteers Association of Bangladesh, Udayankur Seba Sangstha, and Nilphamari. 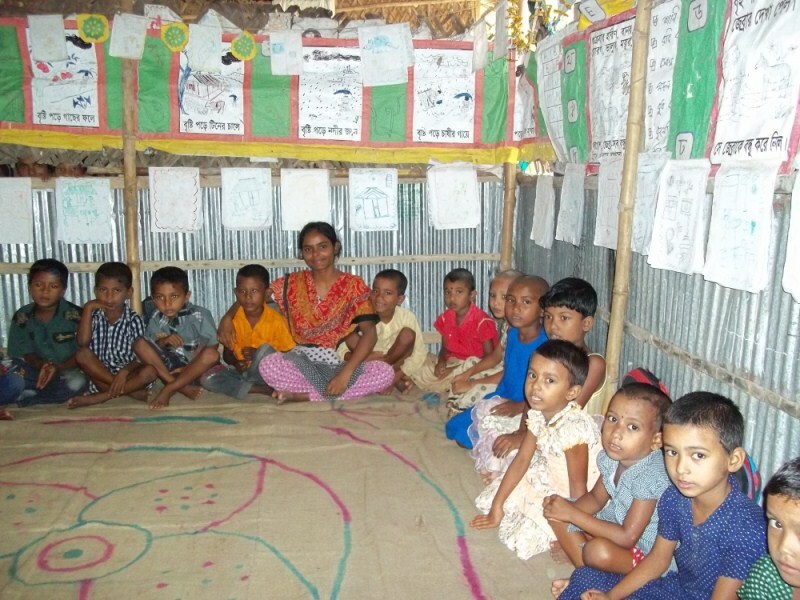 Samhati’s involvement has resulted in an insistence on adult female literacy classes, oversight of program design, and provision of targeted financial support. 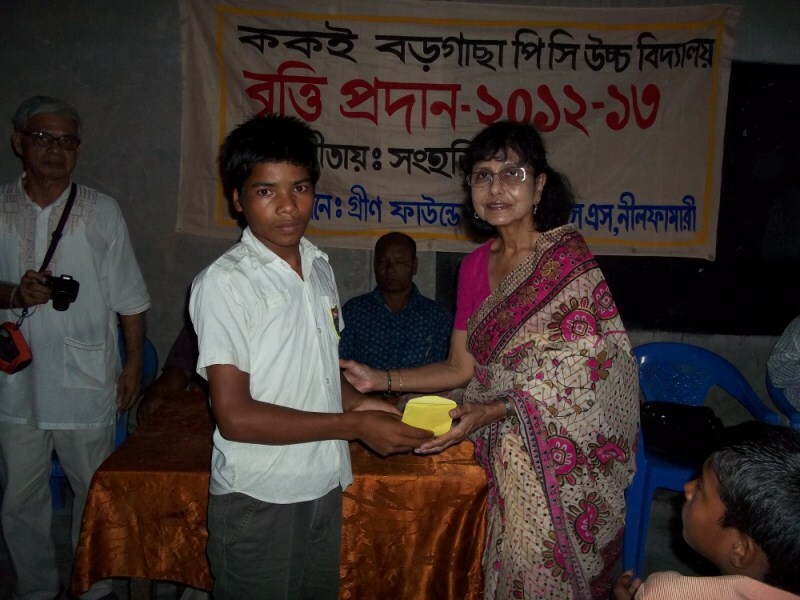 Samhati provides education support in the form of approximately 80 scholarships per year in two different high schools. It also developed a core fund for school supplies at the BMLD Primary School. Our adult literacy programs for women have taught over 650 women to read and write as of 2017. In 2018, one young woman graduate from our high school program will be selected for a college scholarship under our new Jahanara Ali Memorial Scholarship program. Samhati has provided health check-ups to pre-school, primary school and high school children, and women members of the three community Dhan Banks. We have held multiple eye camps open to all members of the community, serving hundreds of people. In 2017, free health checkups were provided to 2,140 adults (mostly women) and children. Samhati provides sewing, organic vegetable cultivation and poultry rearing training to 75-100 women every year. These women go on to start small businesses to help their families. Samhati helped set up a pilot program for Income Generating Activities (IGA) for members of the three Dhan Banks. 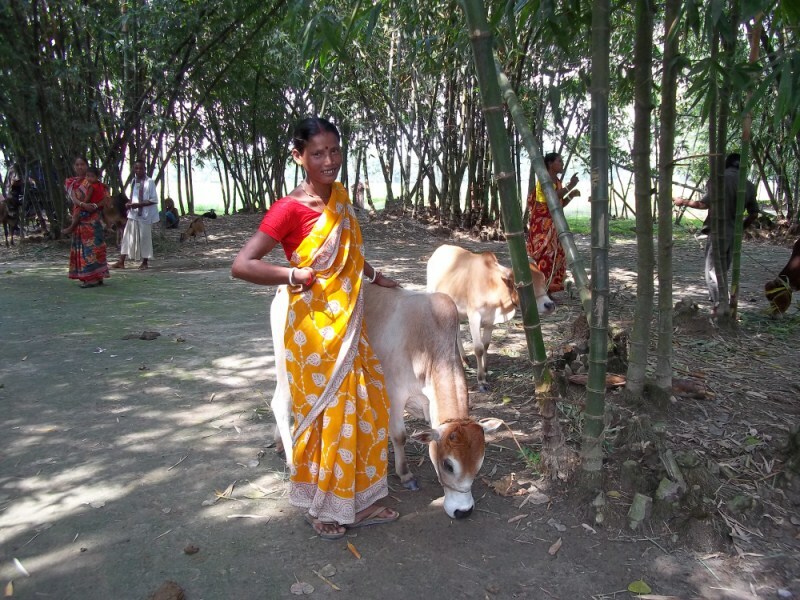 Most of the beneficiaries take out loans to buy and raise cows, which are sold at 100% profit. With Samhati’s support, the construction of a new Rice Bank at nearby Polashbari has been completed. It is the fourth Rice Bank for the area. Samhati’s involvement in this community has lead to wonderful positive results, including increased female literacy, increased high school completion, and improved access to health care. The high school scholarships and health services have been a huge boost to the people of Laksmichap Union. We hope to continue to support this motivated and needy community.